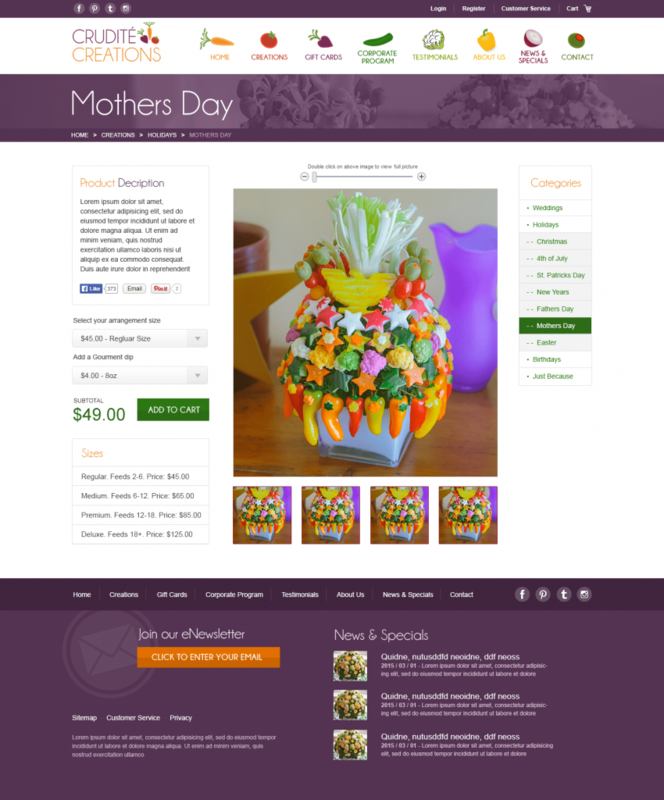 Crudite Creations specializes in creating a healthy alternative to traditional edible arrangements. The up-and-coming small business's popularity is growing fast and food good reason. Their vegetable arrangements are beautifully constructed and come with dips to help make your next gathering memorable and delicious! 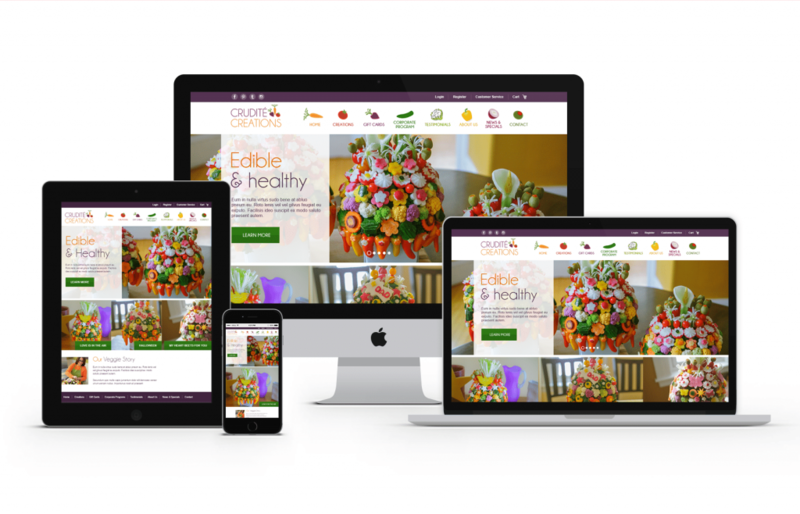 The old Crudite Creations website was functional, but had became outdated, especially when you consider the recent success of the business and the increase increased web traffic. After meeting with the owner, GoingClear was able to come up with a more elegant and sophisticated full-with design that really showcases Crudites great Creations! We even added a nice bouncing effect to the main navigation vegetable icons. The new site is was built with an eCommerce platform so the company can maximize their efforts and fills order quickly. The new Crudite Creations website is also Fully Responsive / mobile and tablet friendly so visitors are guaranteed to have a meaningful experience with high-quality photos no matter where they are.